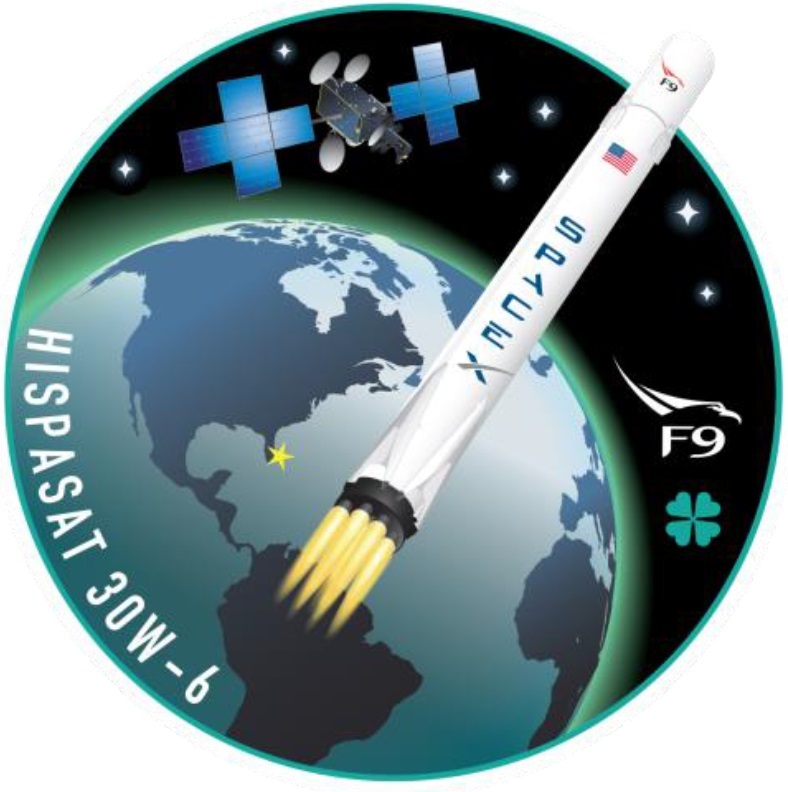 Hispasat 30W-6 is a commercial communications satellite built by California-based Space Systems Loral for operation by Spanish telecommunications provider Hispasat, S.A. as part of the company’s Americas & Europe fleet. The satellite, launching on a SpaceX Falcon 9 in early 2018, hosts a multi-band payload for broadcasting services and high-capacity data to increase the company’s transatlantic capacity. Founded in 1989, Hispasat has operated a number of communications satellites over the Americas, Europe and North Africa from orbital positions at 30° and 61° West, delivering the entire palette of telecommunications services in the commercial and government sectors. Among the services provided by the company is direct-to-home TV broadcasting, carrying over 1,200 channels to more than 30 million homes. The company’s Hispasat satellites are operated at 30°W to deliver coverage to Europe and Africa, a position inaugurated in 1992 with Hispasat-1A. Satellites flying under the Amazonas designation park at 61°W to deliver services to the Americas and the Caribbean starting with Amazonas 1 launched in 2004. 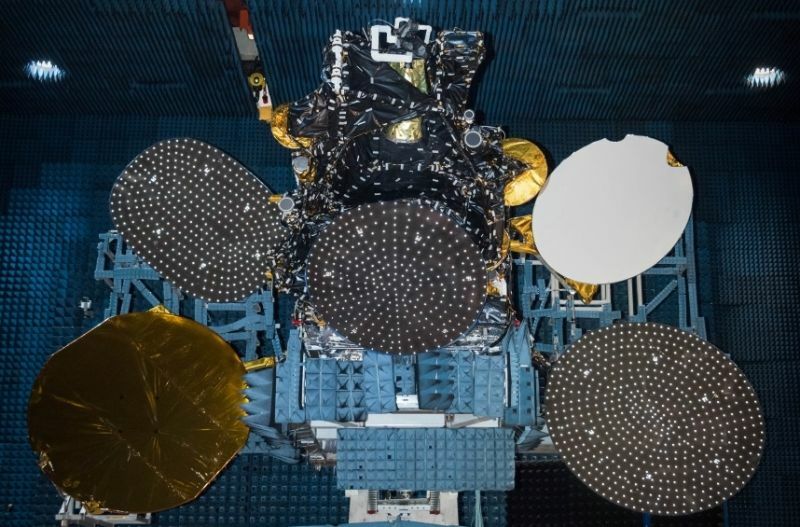 In total, six Hispasat and five Amazonas satellites were launched by the company prior to 30W-6 plus two military-use satellites designated Xtar-Eur and Spainsat. The company is also developing Sun Synchronous Satellites for military use in specialized application areas including communications and reconnaissance. Hispasat awarded the contract for Hispasat 30W-6 to SS/L in July 2014 and the satellite will replace the Hispasat-1D spacecraft launched in 2002 and hosting an all Ku-Band payload of 28 transponders. 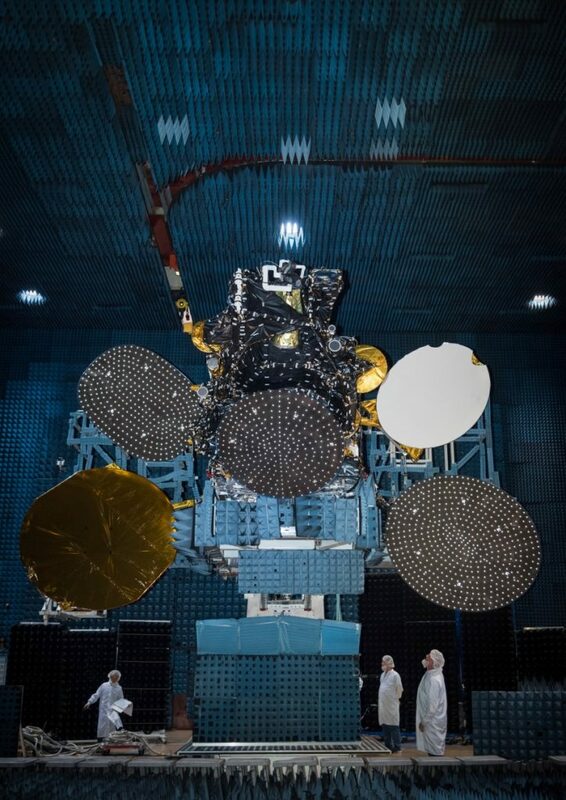 As a state-of-the-art communications satellite, Hispasat 30W-6 will provide replacement coverage as well as a vast amount of expansion capacity in multiple frequency bands, particularly geared to increasing Hispasat’s Europe-America and America-Europe connectivity. The 6,092-Kilogram satellite hosts 40 Ku-Band transponders serving two coverage areas: 1) Europe and North America with coverage extending across the Iberian Peninsula, the Balearic Islands, the Canary Islands, the Azores, Cape Verde and Madeira, Mauritius, Morocco, the Mediterranean Region, North West Africa and a large part of the European continent; and 2) an Americas Coverage Zone from Canada to Patagonia, excluding Brazil. Six Ka-Band beams deliver high-throughput coverage to the Iberian Peninsula, North West Africa, South East and Central Europe and the Balearic and Canary Islands. An additional Ka-Band Broadcasting Satellite Services Beam is focused on the Iberian Peninsula and ten C-Band transponders deliver capacity to the Southern United States, the Caribbean Sea and South America. The satellite’s transponders operate at bandwidths of 36 to 72 MHz for the C/Ku-Band payload and 225 MHz for the seven Ka-Band transponders. Hispasat 30W-6 will add Ku-Band capacity for the Andean Region and the C-Band capacity with American coverage and European Ka-Band beams will enable Hispasat to expand its flexible broadband coverage for data backhaul and corporate networks. Capacity from the satellite will also replace the all-Ku Hispasat 1C that launched in 2000 and was retired in June 2017. Hispasat 30W-6 employs the high-power variant of the SS/L-1300 satellite platform with an available power of 11.5 Kilowatts and a nominal payload power of 10.5 kW. Built for a service life of at least 15 years, Hispasat 30W-6 will operate from an orbital position of 30° West in Geostationary Orbit from where favorable look angles are available for most of the Americas as well as the European continent. 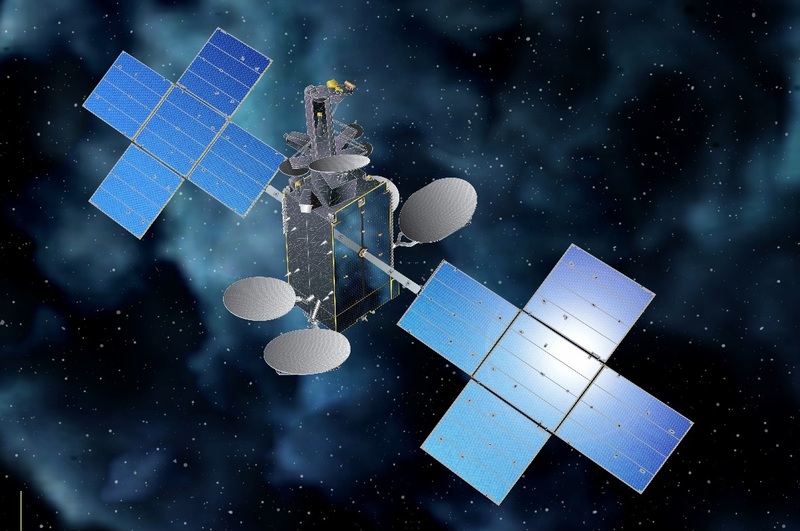 Through use of a hybrid propulsion solution, Hispasat 30W-6 will be able to support an extended mission duration should the performance of its communications payload permit additional commercial exploitation after 15 years on station. 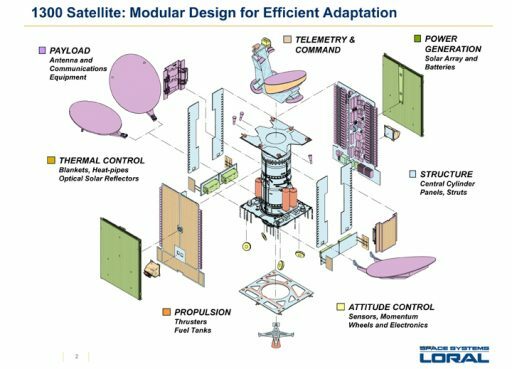 SSL-1300 is a flexible satellite platform that can be flown in different configurations to accommodate different communication payloads with a total power of 5 to 18kW. 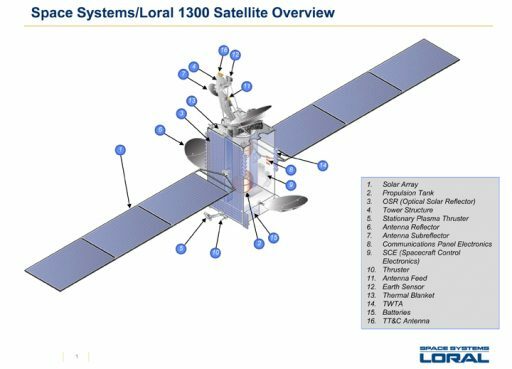 Using different configurations, LS-1300 satellites can weigh from 2,200 up to 6,700 Kilograms featuring payloads of 12 to 150 transponders. Hispasat 30W-6 stands 6.9 meters tall and will measure 8.9 meters wide once deploying its appendages in orbit while the satellite’s length will be 26.1 meters measured along the solar arrays. Through optimizations, the number of transponders that can be accommodated can be increased even further. SSL-1300 was introduced in the late 1980s, but undergoes constant modifications going through a number of revisions over the years. Two five-panel solar arrays deliver up to 11.5kW of power to a dedicated system that conditions the satellite’s power bus and controls the state of charge of the vehicle’s batteries. Three-axis stabilization and navigation is accomplished by state of the art navigation sensors and reaction wheels. The satellite is equipped with a chemical propulsion system for orbit-raising and stationkeeping using ~450-490-Newton main engine and a series of attitude control thrusters fed from a total propellant supply of 3,469 Kilograms. To enable a mission extension of up to five years, the satellite is equipped with an electric propulsion system that will be used for stationkeeping maneuvers in Geostationary Orbit, primarily for North-South Stationkeeping that requires around 45m/s of delta-v per year. To that end, the satellite is outfitted with four SPT-100 Stationary Plasma Thrusters, each weighing 3.5 Kilograms and generating 83 millinewtons of thrust by accelerating a stream of Xenon ions in an electric field, achieving an exceptional specific impulse of 1,600 seconds.